Those green house tables were 10 feet long. 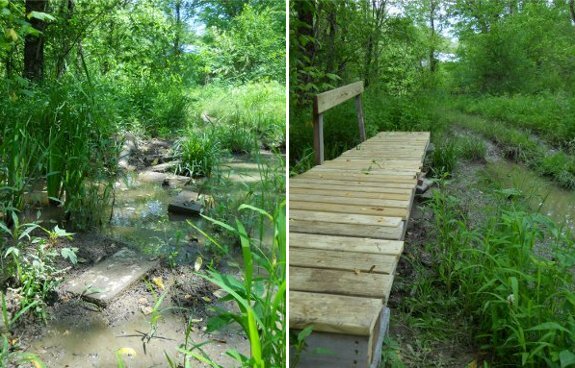 We used 4 of the top sections along with some decking boards to make this new swamp bridge. It's a huge improvement over the previous cinder block system.